Makeup Revolution has been my most used makeup brand in 2015 and I will be continuing to use their products right into 2016. 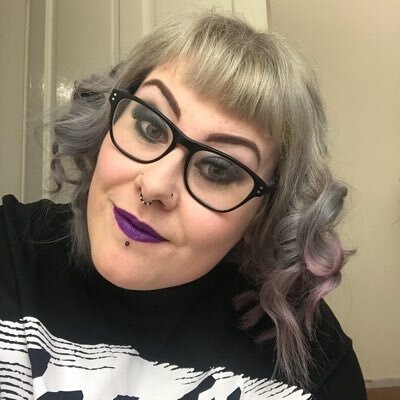 I brought my first products from MUR back in August (read my haul post about it here, it's my most read post to date) and since I have made many orders and purchased items from Superdrug stores too. MUR is definitely one of my favourite makeup brands! I wanted to tell you about a few products that I've purchased over the past couple of months but not blogged about yet. I'm thinking about making another order from MUR on payday as theres a few products I'm eager to try out including; the Iconic Smokey Palette, One Sculpt & Highlight Sticks, Inner Eye Brightener and the Pro Illuminate powder. I'll pop another post up about these new products when I order. Back to this post now... these 4 products have been purchased from the MUR website. 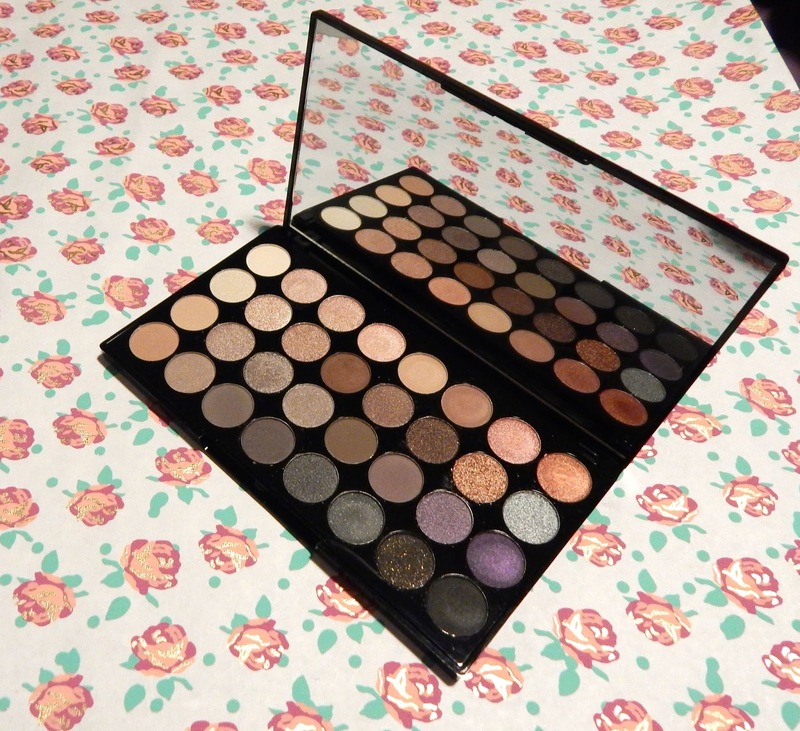 I chose this palette out of the six 32 shades palettes that are on MUR's website because I liked the darker shades which are included. I like to wear a smokey eye look so this palette is perfect for that, with complimenting glimmer and matte shades, its easy to achieve this look. It has all the shades needed in one palette which is also another bonus too. As usual MUR's eye shadows are 'ultra' pigmented and have great staying power. I use an MUR eye primer to hold my shadows in place for longer and I have never had to re-apply throughout the day when wearing MUR's shadows! My favourite shades in the palette are Truth, Promise, Oath, Insist, Time and Declare. Truth and Oath are glimmer shades which I use as bases however truth being an orange copper shade looks beautiful when worn alone too. Promise, Insist, Time and Declare are dark matte shades which make the eyes pop when being worn. 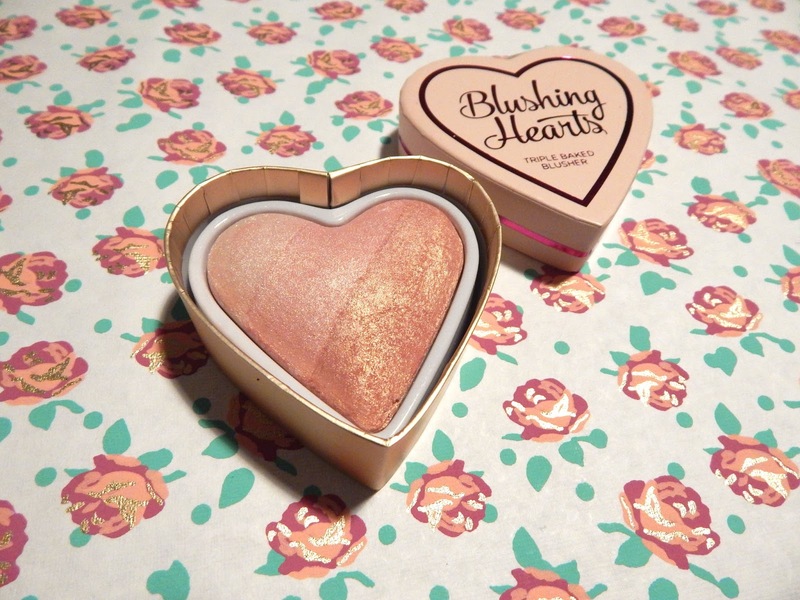 This heart shaped blusher has the cutest packaging of the four products in this post. Inside the product box is a heart shaped cardboard box with the blusher inside. The blusher has three shades mixed in, all three shades are very shimmery which to me makes the blusher more of a highlighter. I use this product on the top of my cheek bones and to highlight the usual areas on my face. I also prefer to apply this product with my finger rather than a brush, as I seem to get better coverage that way. I've found that this product lasts for a few hours when being worn so reapplying throughout the day is needed. 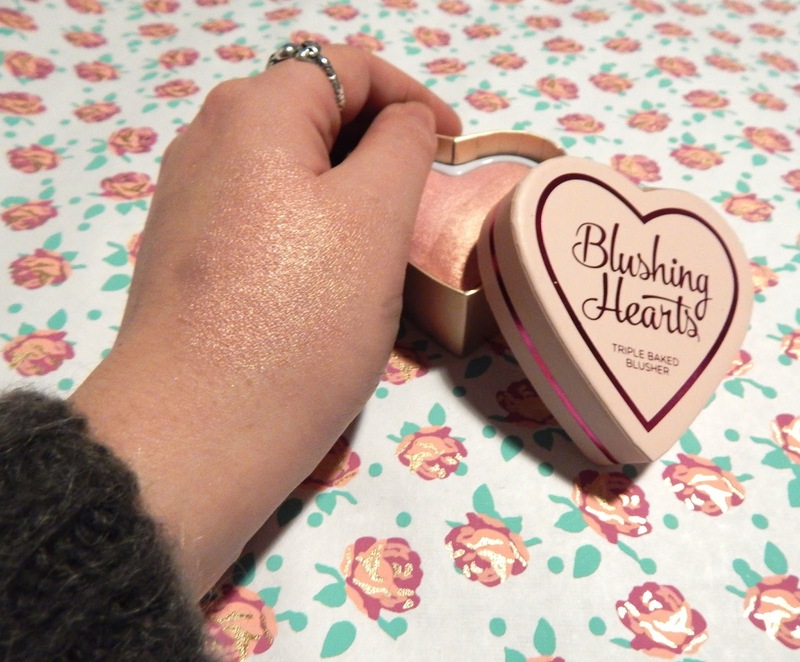 I have swatched the Blushing Hearts on my hand so you can see how the product shimmers and why it is great for use as a highlighter. If your looking for a brow product that has everything you need to tame, colour, highlight and even style your brows then this is the product you are looking for!! The ultra brow palette has 4 eyebrow powders, 2 brow gels, a highlight gel and powder, 1 eyebrow pencil along with 2 mini brushes and a set of mini tweezers. See what I mean about having everything you need in one palette? I chose the medium to dark palette as my hair is dark but MUR have a fair to medium palette available too. The powders are highly pigmented and blend easily with the mini brushes or your own brow brush, after applying the powder I will add a bit of the brow gel to hold my brows in place. The gels are coloured so these add a more sleek and intense colour to my brows which is great for nights out. The highlight powder is a pale slightly pink toned shade which sits well on the brow bone, I prefer the powder to the highlight gel. The gel needs to be applied more fully to achieve a highlight that can be seen, however you could use the gel as a primer for the powder. The brow pencil is very dark in shade but it great to outline the brows before or after applying powder/gel. I personally would recommend this palette for its convenience and quality products, the palette also comes with a large mirror under the lid, another bonus! 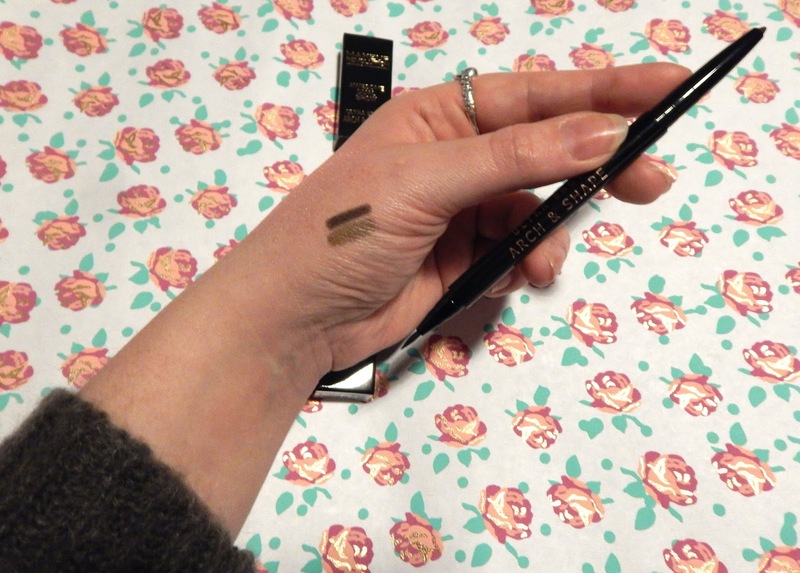 I know this is another brow product after me saying that the brow palette above has everything you need in it but I like to have a brow pencil in my handbag for touch ups throughout the day. 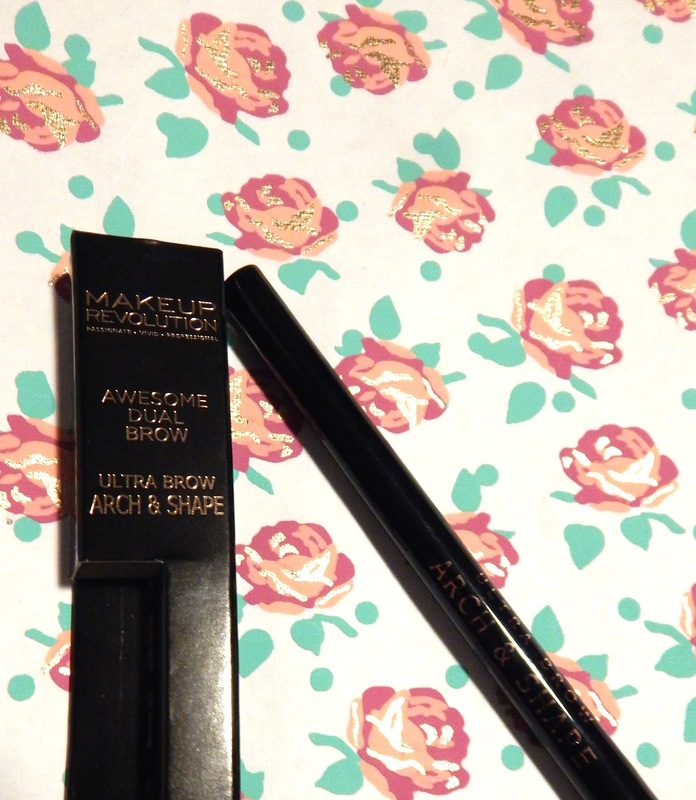 The dual brow arch is 2 products in 1, at one end is a pencil and at the other is a felt tip pen. The pencil end is very creamy and applies softly but with a heavy hand too much product may be applied, I find that this is the products best bit. comparing the felt tip pen and the pencil, the pencil is darker in colour and is more familiar to use, whereas the felt pen takes some getting use to and doesn't colour the brows in the way I thought it would. At only £3.50, the cheapest product in this post, I would still buy it again but just for the pencil end as I like the darkness of the colour. 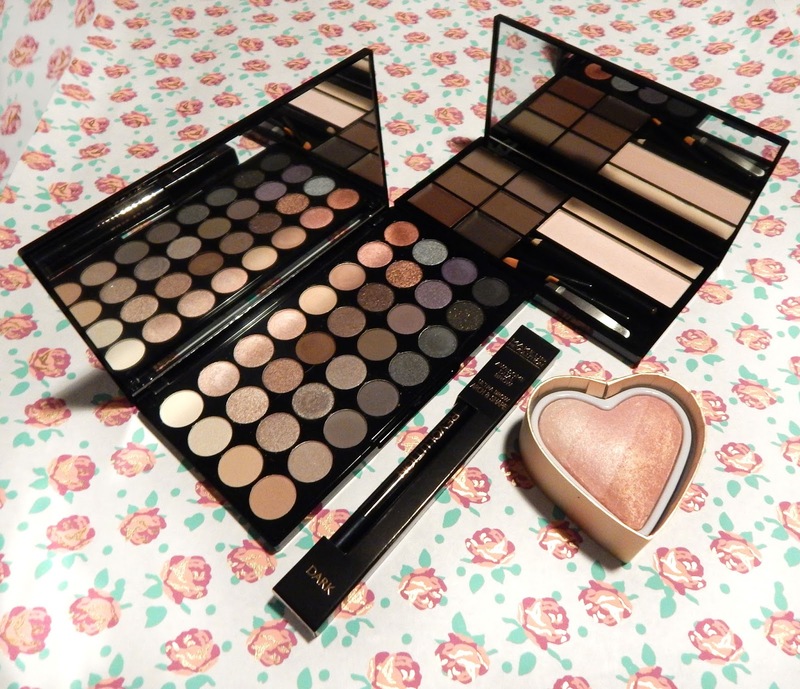 All of Makeup Revolution's products are good quality and value for money, these four products are all under £10.00. Keep an eye out on MUR's website for new products and offers, they always have good offers which they advertise on there social media pages and in their newsletter, which you can sign up to on the website. What MUR products have you tried? Let me know in the comments or over on Twitter, I love talking makeup and reading other bloggers reviews too. The Affirmation palette is the next thing I want to pick up from them on payday. It looks amazing! The brow palette looks really nice too, so I might have to get that too! 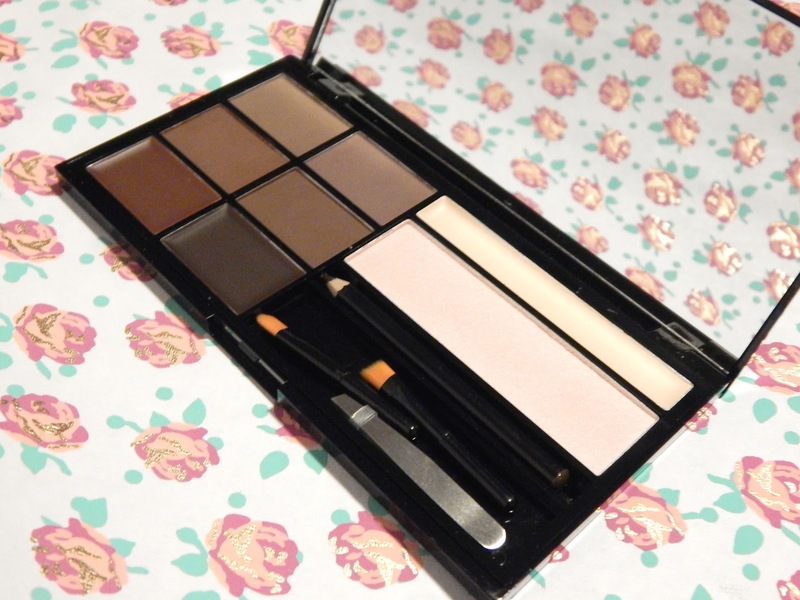 The brow palette is great, I would definitely recommend! Thanks for reading missus! Yeah the eyeshadow palette is such a bargain! Great pigmentation I can't say enough! 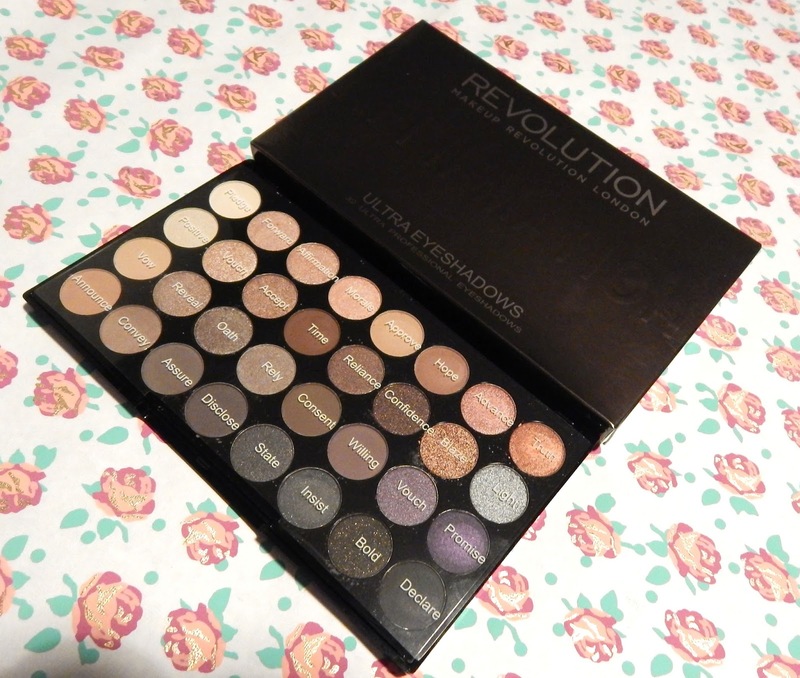 Makeup Revolution is available on this side of the pond! I live in California, USA. We have MUR at ULTA Beauty stores. That's great that it's in the USA now! Such a good brand! Glad you can buy it too! Thanks for reading. It's so good as a highlighter but it is suppose to be a blush. At only £4.99 it's so worth it too! Hope you get your hands on one!